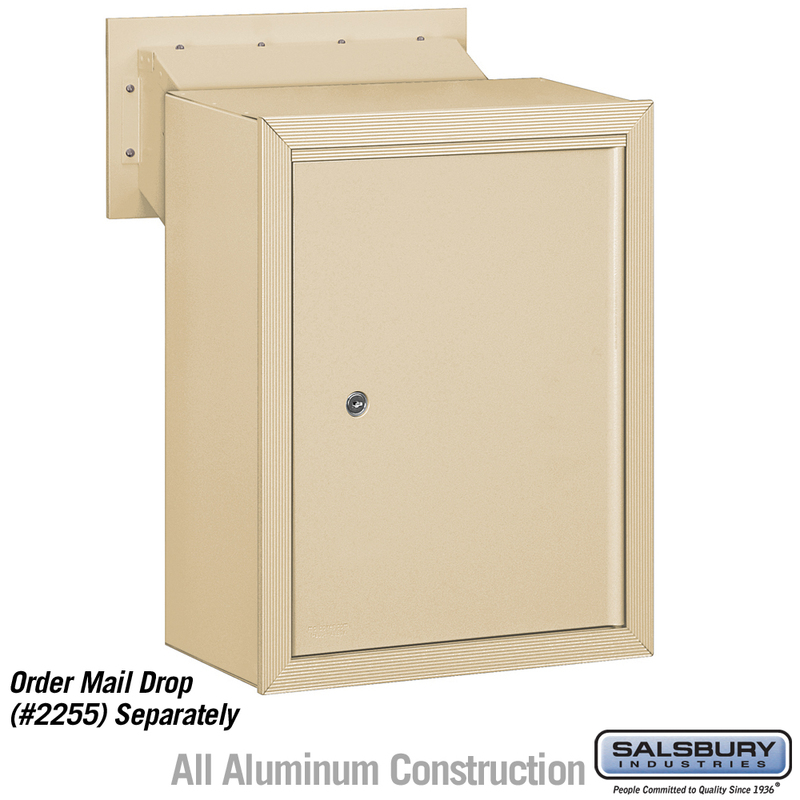 Question: What are the dimensions of the rear opening of this Salsbury receptacle? Answer: 12'' W x 6'' H. Thank you. Answer: Yes. You would proceed as usual and our checkout page will take to complete your order through our freight forwarder. 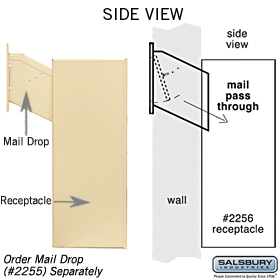 Question: Is this a through the wall unit with rear access? What are the dimensions of the drop slot? 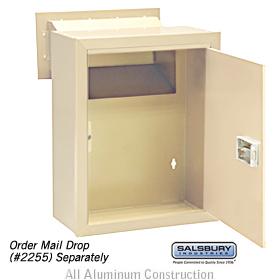 Answer: This is the receptacle/collection box designed to be used with item# 2255, the mail drop. The dimensions for this are 14"W x 7"H x 6"D.